The team behind hit Hackney venue Pidgin are to open a modern British interpretation of a Chinese dim sum restaurant in Mayfair, with service based around trolleys and trays laden with small plates. Magpie launches in Heddon Street, off Regent Street, next month. True to its name, dishes will be “stolen” from an eclectic range of cuisines, so udon noodles with paitan broth might be followed by calabrese sausage and cavolo nero, then grilled celeriac with gjetost and a watermelon barbecue sauce. There will also be a small a la carte menu including Pidgin favourites such as Galician dairy cow with lobster, pommes sarladaises and charred lettuce and cod, fried enoki, fermented jerusalem artichoke and cep oil. The unusual desserts range from strawberry panzanella with olive oil ice cream to a ‘prickly’ pear with roasted miso custard and hibiscus. Drinks will also come via a trolley of pre-mixed cocktails, as well as a more conventional bar featuring London’s biggest selection of wines on tap,, while the wine list has a bias towards California and small producers. 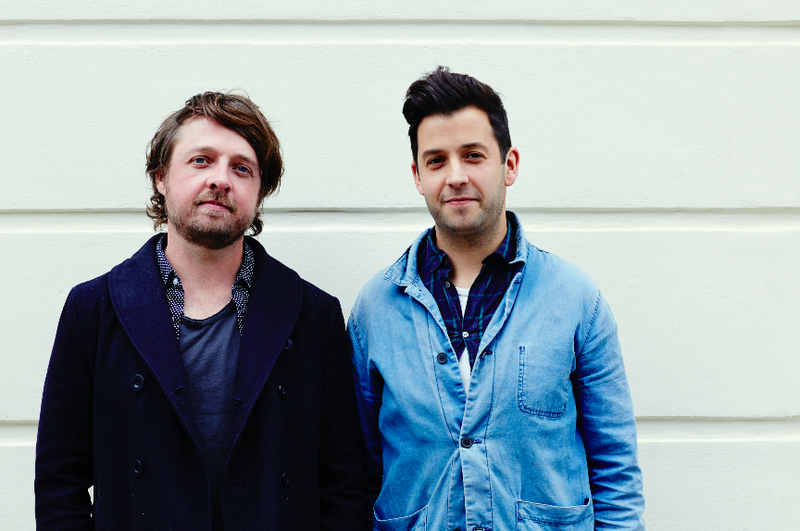 Founders James Ramsden (right in picture) and Sam Herlihy (left) say the dim sum approach is their “fun and novel” response to some of the more frustrating aspects of the sharing plates dining trend. At 54 covers, Magpie is twice the size of the tiny Pidgin, which opened two years ago and serves a weekly no-choice set menu. The 2017 Harden’s Survey describes it as “cramped-but-magical” with “spectacularly good cooking” – “truly innovative”. News, Newsletter james ramsden, new restaurant opening, new restaurants london, Pidgin, restaurants in Hackney, restaurants in Mayfair, sam herlihy. permalink.